Children delight in learning about God, Jesus, the Spirit and Christian values as they develop their own faith through weekly classrooms or our rotation model approach to Sunday School. The premise of our curriculum is to teach all students, Kindergarten through 5th grade, the same themes on their respective levels. 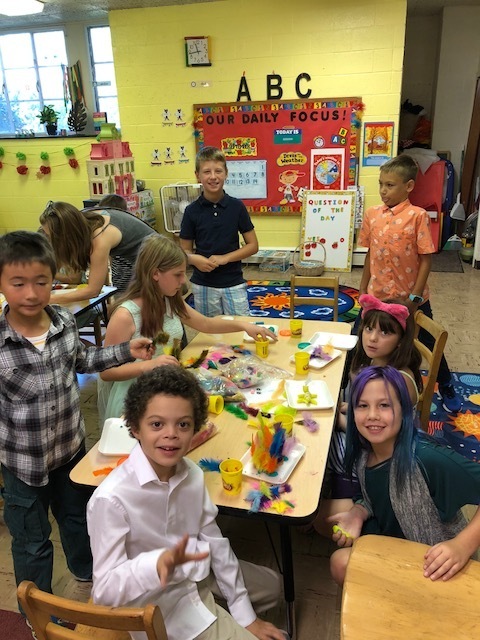 In the rotation model, students will explore bible verses and stories of one theme through music, art, movies, science, drama, dance, cooking, storytelling, and fellowship that change each week of a 4-6 week unit. Within the unit, there will be four Sundays of rotations mixed with Grace Gatherings, where all children will be together, and Children’s Worship Sundays where the service will be geared toward the youth. Warm and loving childcare for infants 3 months old up to 2 years old is available in the nursery (Lamb Room) during all worship services. The children in the apple class meet each week upstairs in the Lion room. The apples sing, play, and learn favorite age-appropriate stories of the Old and New Testament. They witness the amazing wonders of God's world through the eyes of many faithful servants. We relate the stories to their lives in ways they can easily understand each week in the Lion Room. Loaves will participate in the rotation model and meet in the pew with their fish symbol for service. They will be escorted by a Volunteer Shepherd to their weekly rotation and taught by a Volunteer Station Leader. Our Figs class meets each week upstairs in the Whale room with the same lead teacher for 6 weeks. Children learn about God through a play-centered approach. Each week in the whale room we will be singing, creating, praying, and playing together using Bible stories and classic Bible songs. Fish will participate in the rotation model and meet in the pew with their fish symbol for service. They will be escorted by a Volunteer Shepherd to their weekly rotation and taught by a Volunteer Station Leader. Grapes will participate in the rotation model and meet in the pew with their fish symbol for service. They will be escorted by a Volunteer Shepherd to their weekly rotation and taught by a Volunteer Station Leader. Olives will participate in the rotation model and meet in the pew with their fish symbol for service. They will be escorted by a Volunteer Shepherd to their weekly rotation and taught by a Volunteer Station Leader. 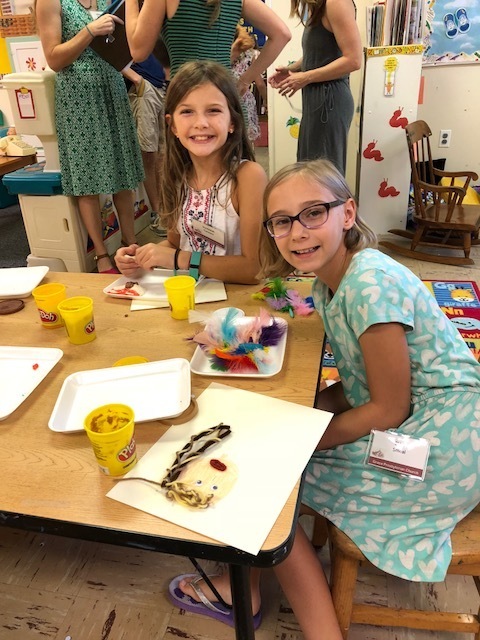 In addition to Sunday School, there are annual programs of fun, fellowship and faith for children and families including the Advent Workshop, Sunday School Open House, Parents Night Out, Easter Festival and Vacation Bible School.